Student feedback in Blackboard – Where do they find it? Research shows that students spend a large portion of their time in Blackboard, checking their grades. 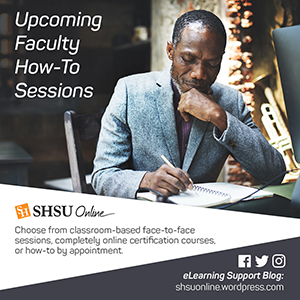 A student’s desire to check their grades via the LMS (Learning Management System) is a regular driver for faculty adoption of Blackboard as a way to provide feedback. However, even when a Blackboard instructor is using the Grade Center, students may still have difficulty finding their grades and assignment/assessment feedback. A good best practice for Blackboard instructors is to let students know the mechanics of accessing their grades and graded feedback. Students can see grades for all of their courses or one course at a time, by using My Grades. Students can access their grades by clicking the My Grades link in the Blackboard course’s navigation menu or by selecting the arrow next to their name in the upper-right corner. In the menu, they select My Grades. Grades can be sorted by All Courses or Last Graded. If student work hasn’t been graded, grade status icons appear. Select an item’s title to view details. On the My Grades page, students can view all the coursework and grades for the course they are in. If student work hasn’t been graded, grade status icons appear. Students can filter and order their view. Students can select an item’s title to view details. For example, the instructor can type comments, highlight text, and draw on student documents. Students then can select an assignment’s title to access the assignment’s Review Submission History page and review the grade, annotations, and feedback in context. If you use a rubric to grade student work, they can select the View Rubric link to view details. Students can Select the View Feedback icon to view instructor feedback in a pop-up box. – No information is available. Your work is in progress, but you haven’t submitted it yet. Your grade for this item is exempted. You don’t have to submit work.